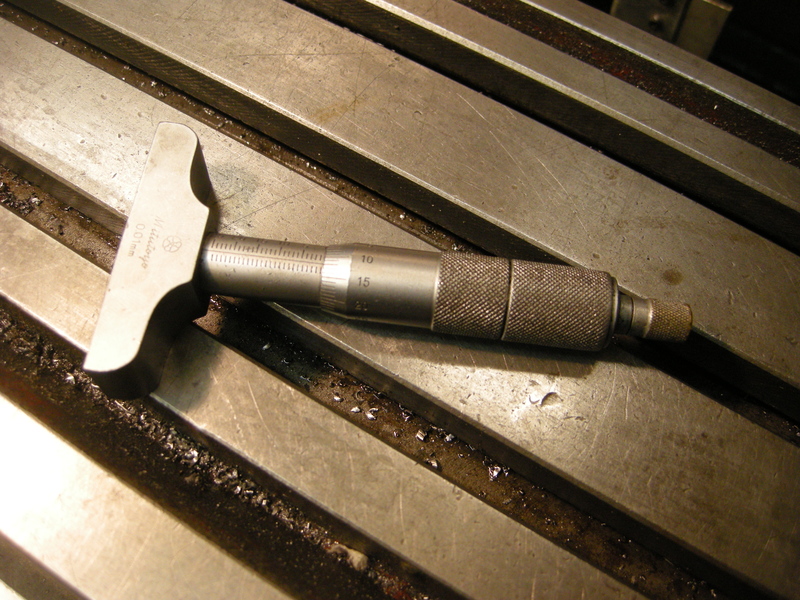 It is often useful to measure from an edge of a workpiece to the edge of a cutting tool. This is, of course, just a distance. But when milling such a distance can often be measured best by considering it to be a depth. It can be measured with a ruler, caliper with depth measuring part or a depth gauge. On the milling machine, often the space for measuring is limited and this might determine the choice. With a depth gauge as shown above it is seldom possible for both arms to be on the surface. This does not mean the depth gauge cannot be used but it is essential that the arm that is resting on the surface is pressing hard against it when measuring a depth.